I was addicted with Jeremy Scott cross over Adidas since first version of wings collection , their designs are so creative and surprising me always. 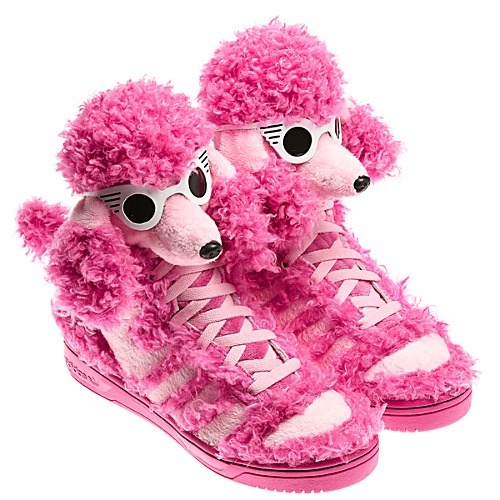 This time, they are released the poodle shoes! 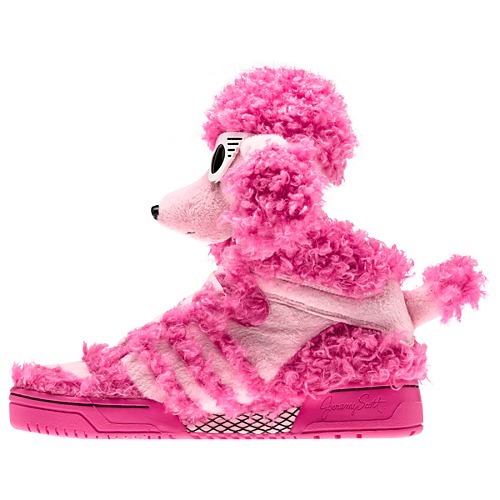 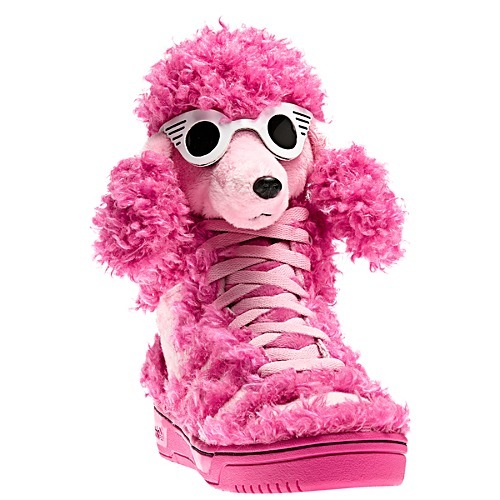 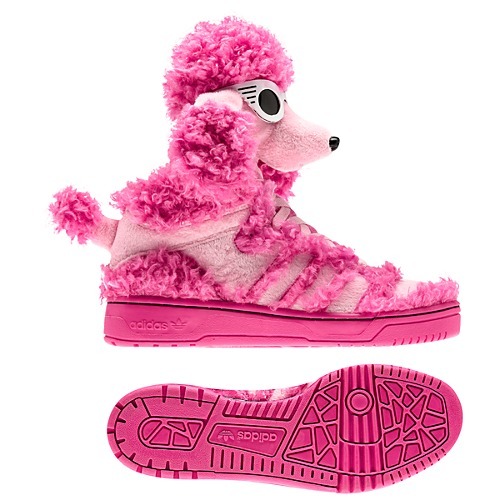 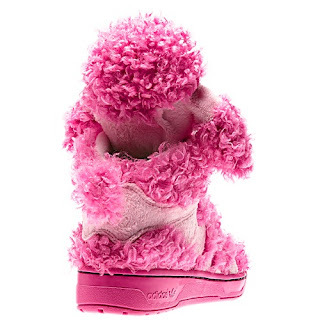 Pretty in pink, these adidas Originals Poodle shoes by Jeremy Scott show off a soft poodle head wearing '70s-inspired white sunglasses, long fur and ears, and a little pom-pom tail. 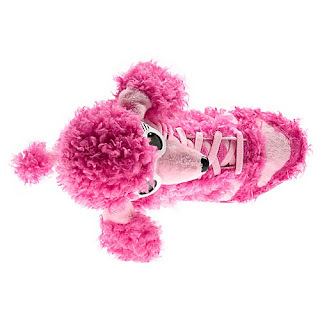 Made from two-tone short pile and curly textile fur. For added comfort, the shoe has a soft terry lining and an EVA midsole.